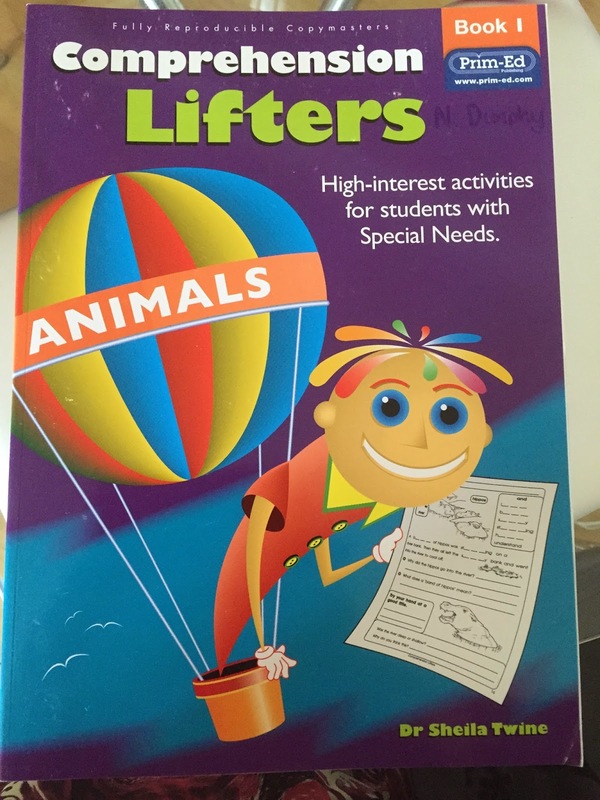 I’ve been working as a resource teacher since September and have used a variety of different books to cater for the needs of the children I work with. 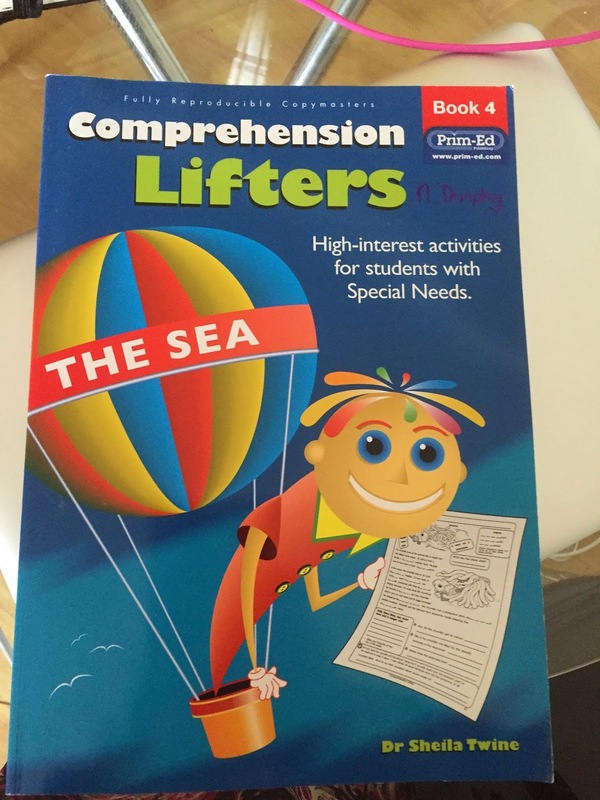 I was delighted to get these books from Prim Ed last week. 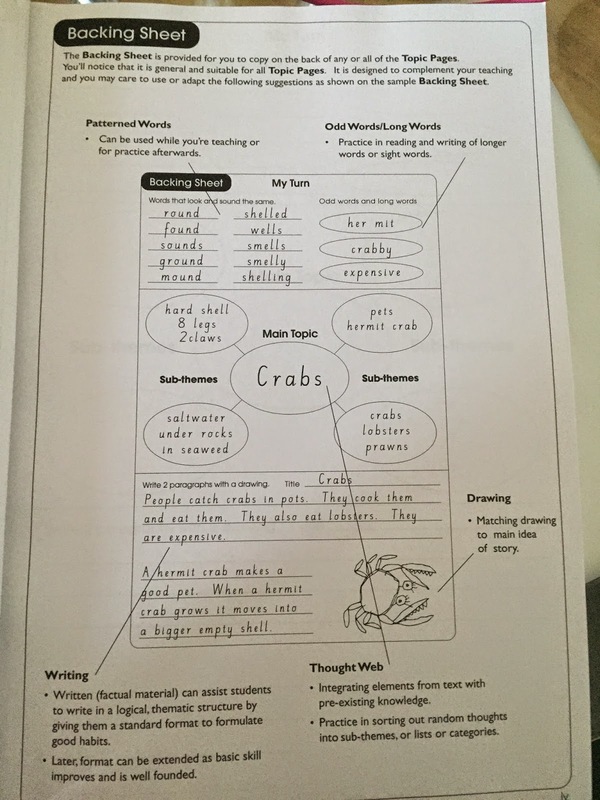 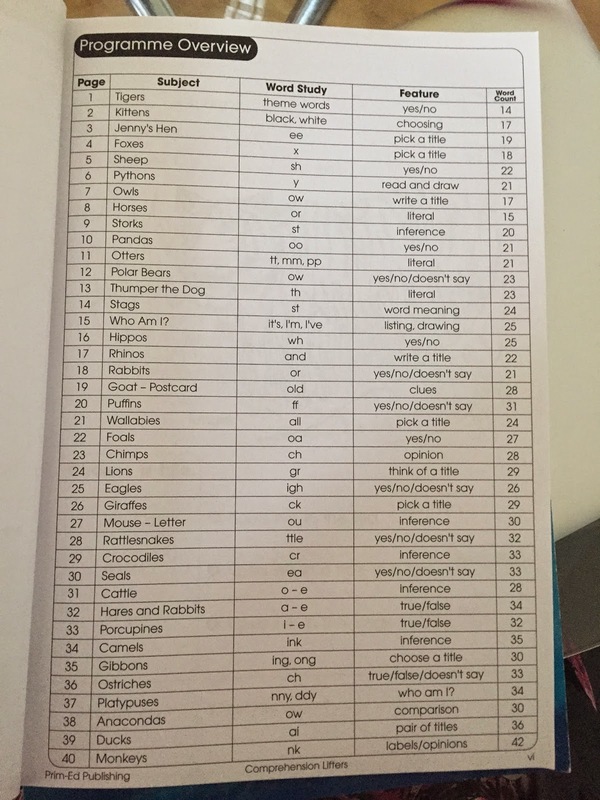 Each book also has a Programme Overview which gives the subject, or study and main feature of the text so it is easy for you to pick a suitable text based on what you are covering in spellings/ phonics or in grammar lessons! 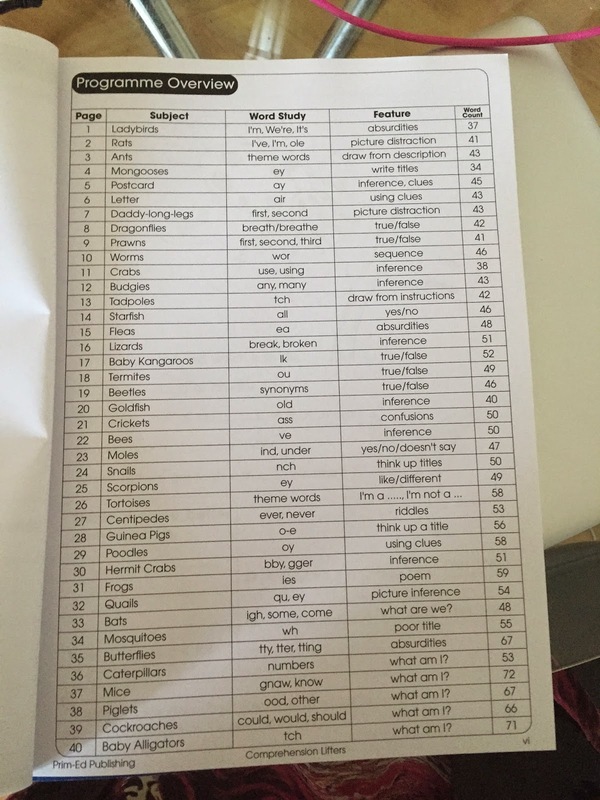 Above is a sample backing sheet. 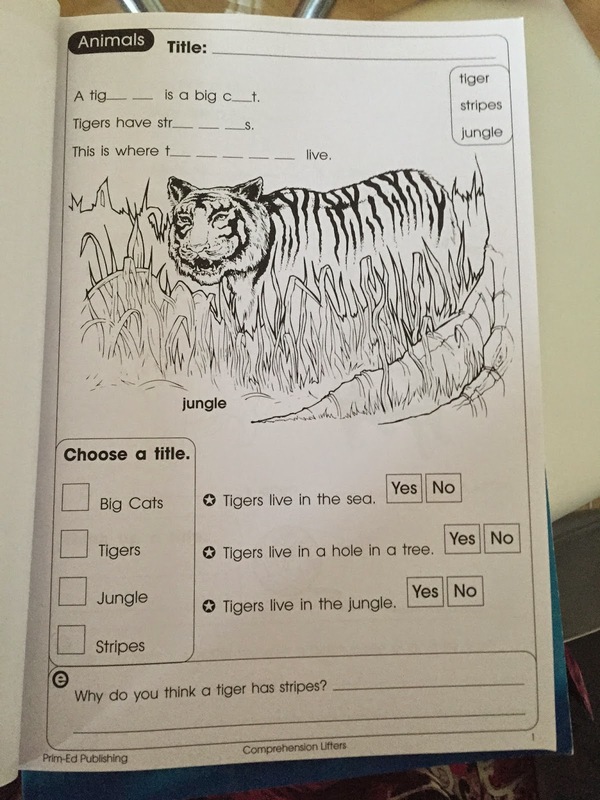 A sample page based on tigers. 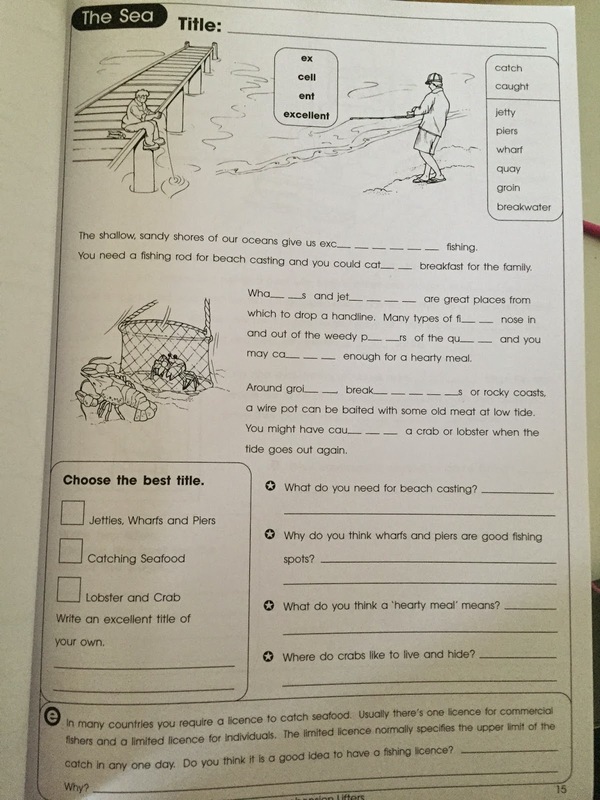 Children have to complete the close procedure, read the new words (jungle, tiger, stripes), choose a title (based on the topic of the text) and answer some comprehension questions. 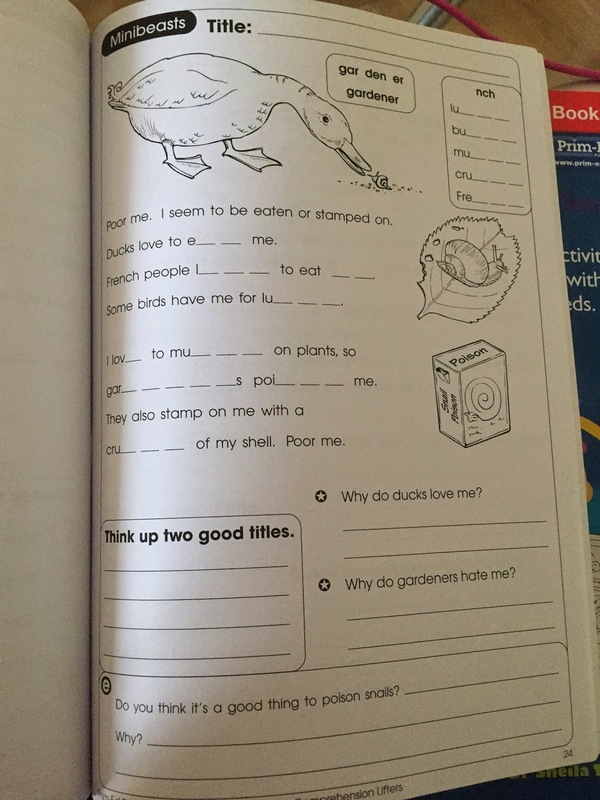 The backing page has been extended to suit the level the children are now at. 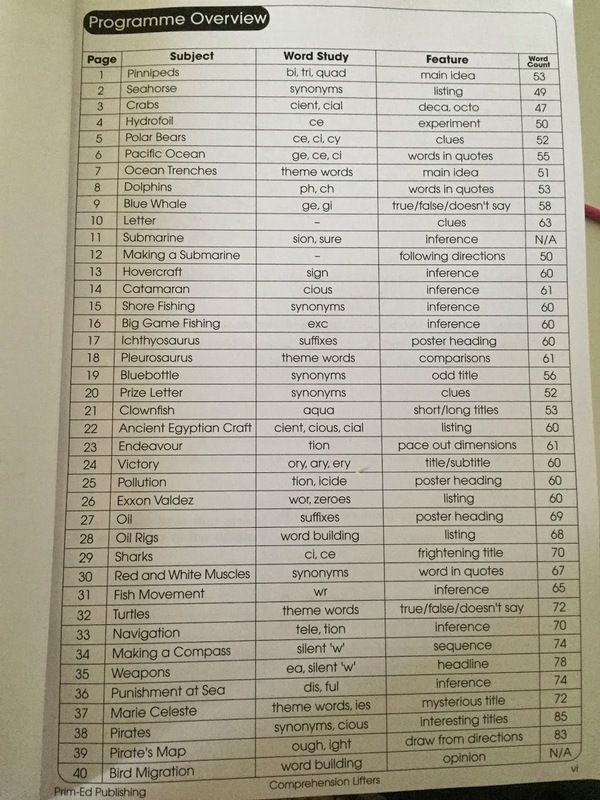 An example of what is expected at this level – main focus is -nch. 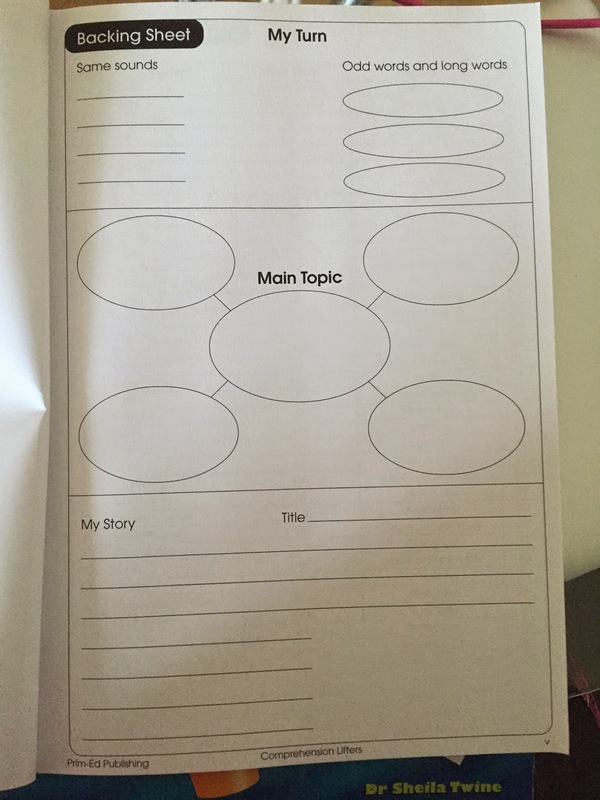 There is a short close procedure followed by comprehension questions, a ‘think about’ question and children also need to think of a suitable title. 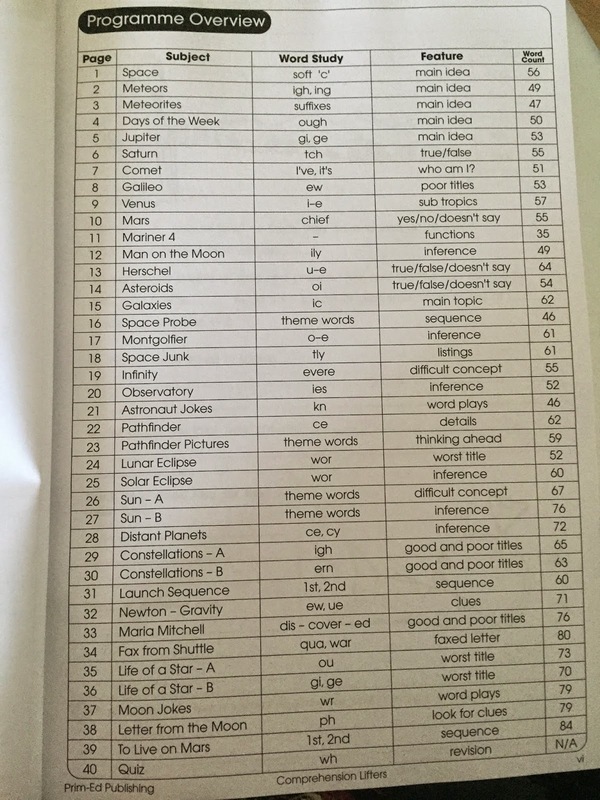 Again you can see the cloze procedure, comprehension questions and higher order questions – Why? 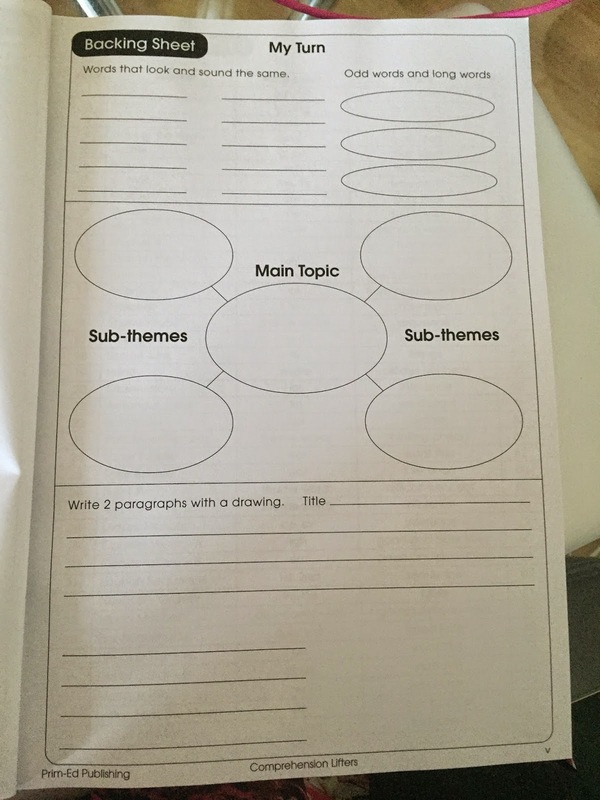 You can see a huge difference between this backing sheet and the backing sheet for book 1. 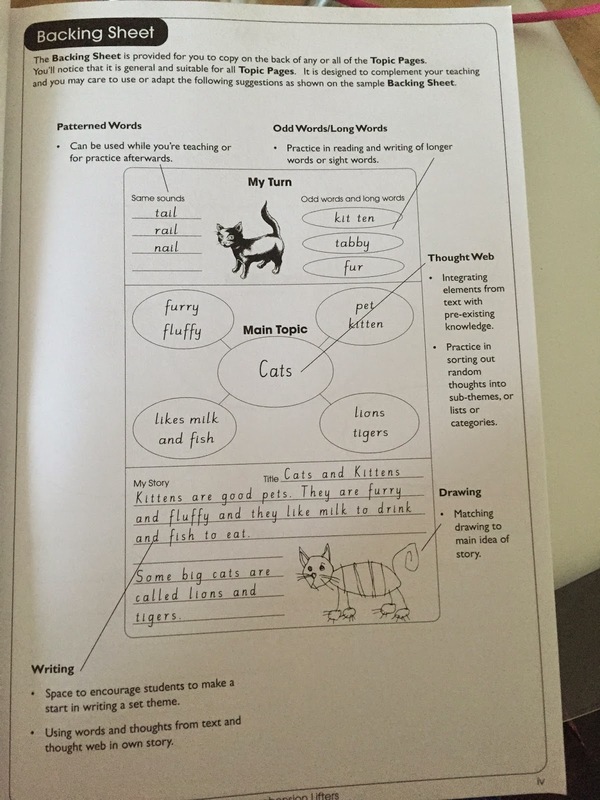 At this level, children are expected to plan their writing and divide it into paragraphs. 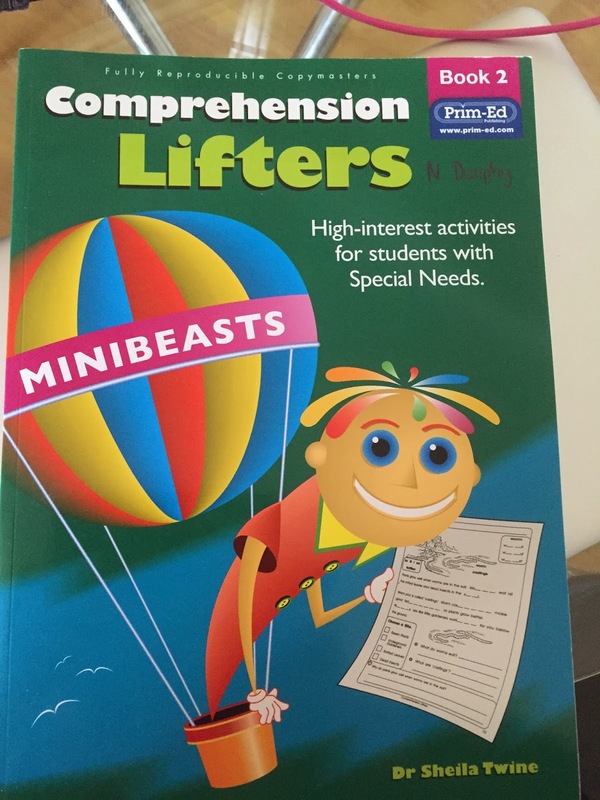 Overall, these Comprehension Lifters are an excellent purchase from Prim Ed as they provide high interest topics but are pitched at an accessible level for children with special educational needs or those who struggle with comprehension. 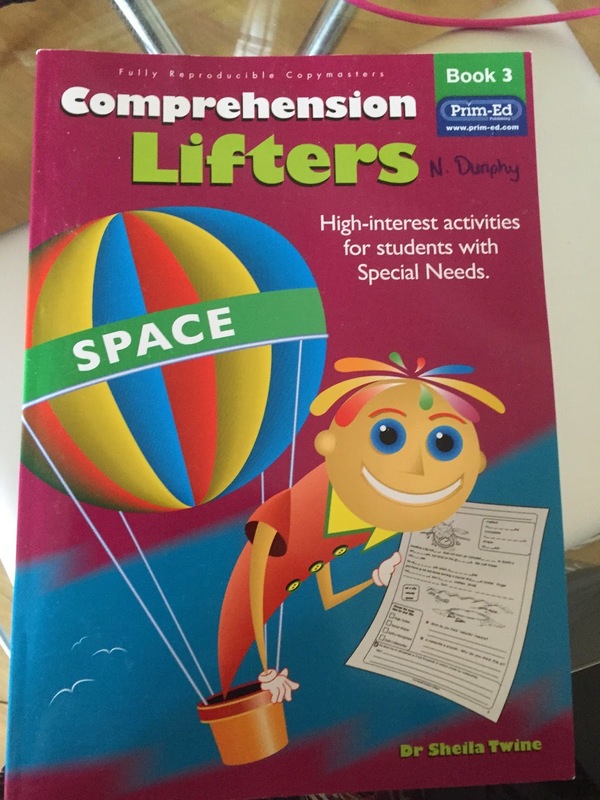 They are available to purchase directly from Prim Ed for €18.95 each and would be an excellent resource for learning support/resource teachers or for class teachers to help improve comprehension!